Do you want Jordan’s locker? It’s up for auction. 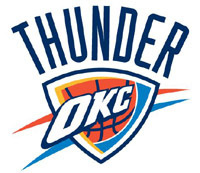 But the top news is the Thunder, who partnered with Rebuilding Together to give their own “extreme makeover” to repair a home for an OKC resident in need. Then in Memphis, the Grizzlies build a playground for an area elementary school. Rebuilding Together, based in DC, “serves people 55 and older who are financially unable to do needed repairs on their homes.” Projects “can range from an emergency heating or plumbing fix to the installation of a wheelchair ramp to a whole house makeover” (Jeff Latzke, AP, 4/8). Michael Jordan: The Chicago Bulls and Hunt Auctions “are offering one of two lockers” Bulls great Michael Jordan “used at the team’s practice facility in the 1990s during a fundraiser” for the team’s nonprofit charity organization April 18 at the National Italian American Sports Hall of Fame in Chicago. Game jerseys and autographed sneakers from Jordan will also be auctioned (AP, 4/9). Memphis Grizzlies: The Memphis Grizzlies and Toyota teamed up to present a new playground at a Memphis-area elementary school on April 6. The playground included a swing set plus slides and monkey bars built by Grizzlies staff, school teachers and Memphis City Schools staff members. The playground parts were made from recycled materials purchased from SafePlay Systems which fell in line with the NBA’s Green Week. Grizzlies players Rudy Gay, Marko Jaric, Darko Milicic, Mike Conley, Greg Buckner and Hamed Haddadi as well as team mascot Grizz were on hand to help with the ribbon cutting celebration as the students played on their new playground (NBA).